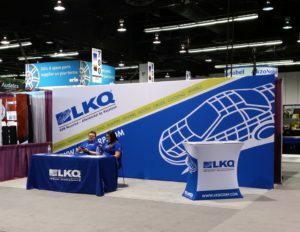 LKQ: Fewer claims in Northeast, Midwest mean lower 3Q growth; more total losses also reported in U.S.
Collision- and liability-related auto claims grew merely 2.4 percent for the first nine months of the year, LKQ CEO Rob Wagman said Wednesday, but he said that a normal winter should help bring in more claims and organic revenue growth for the parts company. The company’s analysis of such macro trends, as well as the underlying CCC data, carry lessons on business conditions the collision repair industry might expect. “But in order to grow our business, the number of collisions need to grow,” he said. Wagman said the first half of the year posted a 2.3 percent increase in collision and other physical damage claims — an increase, but not to the level LKQ would like. The company attributed the lower growth to milder weather. Organic revenue growth was merely 2.1 percent in North American parts and sales, “down from the first half of the year and below our expectations,” Wagman said. Worldwide, LKQ posted 3.7 percent organic growth in parts and services during the third quarter, which Wagman called “an enviable performance” compared to others in the global auto industry. LKQ Chief Financial Officer Nick Zarcone linked the low claims growth to year-over-year reductions in major Northeast and Midwest states. Lower claims volume in Maine, New Hampshire, Vermont, Massachusetts, Connecticut, New York, Pennsylvania, Michigan, Indiana and Ohio helped bring down the overall average, he said. Only New Jersey and Illinois saw gains in claims from 2015, and those were mere 0.5 and 0.2 percent increases, respectively. Wagman said the Northeast and Midwest make up 30 percent of LKQ’s revenue. “There’s just been a light amount of claims filed this year,” Wagman said. He said weather made less of an impact on claims in the third quarter. LKQ’s organic revenue in North America across all business lines grew 3.7 percent, though Zarcone said the overall North American revenue was behind expectations. Total revenue in the third quarter rose to $1.047 billion, up about 1 percent, according to Zarcone. LKQ updated its growth guidance to 4.5-5 percent, a reduction that reflects the 5.1 percent growth rate of January-September 2016 over the first nine months of 2015. As with 2012, a normal winter should cause claims to “bounce right back,” Wagman said. “In 2012, we had very similar results to what we’re seeing this year,” he said. Asked if a normal winter would get LKQ back to a 5-7 percent organic growth rate, Wagman seemed to agree. Other than a mild winter, “I don’t see any major headwinds,” he said. “There’s enough positive tailwinds” that 2017 looks like 2013 for the company, he said. Wagman also noted the rise in total loss rates above historical levels, tying that to a growth in older models which endure longer than historic U.S. cars. The average vehicle in the U.S. is about 11.5 years old. However, Wagman said that CCC anticipates total losses should start to level off as the new car parc enters the system. Asked if the higher number of total losses would affect LKQ’s “sweet spot,” Wagman said he didn’t think so. About 82 percent of cars in collisions were still getting repaired, he said. But even the totaled cars help LKQ in terms of inventory, according to Wagman. “I see that as a wash, actually,” he said. Besides, it’s primarily older cars totaling out — not necessarily the heart of the sweet spot, Wagman said, citing other CCC data. “The SAAR rate is much more important to us,” Wagman said, referring to the seasonally adjusted annual rate (SAAR) of vehicle sales. LKQ needs fully insured, new cars entering the system and entering the sweet spot where aftermarket and used parts would be used for collision and mechanical repairs. Wagman also reminded analysts that “the vast majority of collisions are driveable collisions” — they “tend to drag on,” as it’s up to the customer when they choose to repair their vehicle — if at all. That can delay the time when LKQ sees revenues from the body work. Some of the driveable claims aren’t necessarily repaired, either. “The consumer can elect to pocket that check,” he said. Unless there’s a supplement, the insurer who dispensed the initial payment has no idea if the estimate translated into a repair, Wagman said. “The vast majority of the time, the insurance company doesn’t even know if the car got repaired,” he said.